W. T. Ingram Professor Emeritus, Missouri University of Science and Technology, Rolla, Missouri, USA. de la teoría clásica de los continuos aparecen en las investigaciones de estos objetos interesantes. En este artículo discutimos varios de los temas tradicionales que han surgido en el estudio de este tema. Anderson R.D. and Choquet G., “A plane continuum no two of whose nondegenerate subcontinua are homeomorphic. An application of inverse limits”, Proc. Amer. Math. Soc. 10 (1959), 347–353. MR0105173. Barge M. and Ingram W.T., “Inverse limits on [0, 1] using logistic bonding maps”, Topology Appl. 72 (1996), 159–172, MR1404274. Bing R.H., “Snake-like continua”, Duke J. Math. 18 (1951), 653–663. Cook H., “Clumps of continua”, Fund. Math. 86 (1974), 91–100, MR0358732. Cook H., Ingram W.T. and Lelek A., “A list of problems known as the Houston Problem Book”, in Continua, Lecture Notes in Pure and Appl. Math., vol. 170, Dekker, New York, (1995), 365–398. Corona García M.A., “Límites inversos con funciones conjunto-valuadas”, Capítulo 9 en Topología y sus Aplicaciones 4, Juan Angoa, Raúl Escobedo y Manuel Ibarra, eds., Puebla, México, 2016, 167–187. Charatonik W.J. and Roe R.P., “Inverse limits of continua having trivial shape”, Houston J. Math. 38 (2012), 1307–1312. Davis J.F. and Ingram W.T., “An atriodic tree-like continuum with positive span which admits a monotone mapping to a chainable continuum”, Fund. Math. 131 (1988), 13–24. Greenwood S. and Kennedy J., “Connected generalized inverse limits over intervals”, Fund. Math. 236 (2017), 1–43, MR3577389. Ingram W.T., “Decomposable circle-like continua”, Fund. Math. 63 (1968), 193–198, MR 0240786. Ingram W.T., “C-sets and mappings of continua”, Topology Proc. 7 (1982), 83–90. 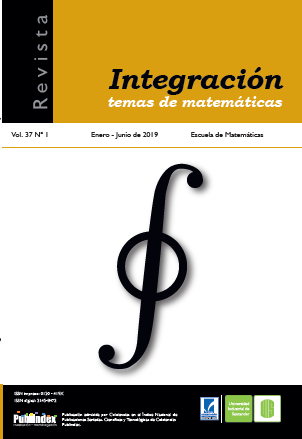 Ingram W.T., “Inverse Limits”, in Aportaciones Matemáticas: Investigación 15, Soc. Mat. Mex., 2000, 80 pp. IngramW.T., An Introduction to Inverse Limits with Set-valued Functions, Springer Briefs, Springer, New York, 2012, http://dx.doi.org/10.1007/978-1-4614-4487-9. Ingram W.T., “Tree-likeness of certain inverse limits with set-valued functions”, Topology Proc. 42 (2012), 17–24. Ingram W.T., “Concerning chainability of inverse limits on [0, 1] with set-valued bonding functions”, Topology Proc. 42 (2013), 327–340. Ingram W.T., “Concerning dimension and tree-likeness of inverse limits with set-valued functions”, Houston J. Math. 40 (2014), No. 2, 621–632. Ingram W.T., “Inverse limits with families of set-valued functions”, Bol. Soc. Mat. Mex. (3), 21 (2015), No. 1, 53–70, dx.doi.org/10.1007/s40590-014-0017-7. Ingram W.T., “Inverse limits with set-valued functions having graphs that are sinusoids”, Topology Proc. 53 (2019), 243–254. Ingram W.T., “Inverse limits with set-valued functions having graphs that are arcs”, preprint. Ingram W.T. and Mahavier W.S., “Inverse limits of upper semi-continuous set valued functions”, Houston J. Math. 32 (2006), 119–130, MR2202356. Ingram W.T. and Mahavier W.S., Inverse Limits: From Continua to Chaos, Advances in Mathematics vol. 25, Springer, New York, 2012. Kelly J.P., “Chainability of inverse limits with a single irreducible function on [0, 1]”, Topology Appl. 176 (2014), 57–75. Kuratowski K., Topology II, Academic Press, New York, 1968. Mahavier W.S., “Inverse limits with subsets of [0, 1] × [0, 1]”, Topology Appl. 141 (2004), 225–231. Marsh D.S., “A chainable continuum not homeomorphic to an inverse limit on [0, 1] with only one bonding map”, Colloq. Math. 43 (1980), 75–80, MR615973. Marsh M.M., “Some structure theorems for inverse limits with set-valued functions”, Topology Proc. 42 (2013), 237–258. Marsh M.M., “Tree-like inverse limits on [0, 1] with interval-valued functions”, Topology Proc. 48 (2016), 215–232. Marsh M.M., “A characterization of tree-like inverse limits on [0, 1] with interval-valued functions”, Topology Proc. 50 (2017), 101–109. Smale S., “Differentiable dynamical systems”, Bull. Amer. Math. Soc. 73 (1967), 747–817, MR0228014.